One of the unavoidable tragedies of youth is the temptation to think that what is seen today has always been. Nowhere is this more noticeable than in our responses to the recent Parkland, Florida, massacre. Part of the responses to those murders are calls to raise the age to purchase a gun and to have more thorough background checks — in a word, to make gun purchases more difficult. That’s a vision that sees easy gun availability as the problem; thus, the solution is to reduce that availability. The vision that sees “easy” availability as the problem ignores the fact of U.S. history that guns were far more available yesteryear (http://tinyurl.com/y73sw4ev). With truly easy gun availability, there was nowhere near the gun mayhem and murder that we see today. I’m tempted to ask those who believe that guns are today’s problem whether they think that guns were nicer yesteryear. What about the calls for bans on the AR-15 so-called assault rifle? It turns out that according to 2016 FBI statistics, rifles accounted for 368 of the 17,250 homicides in the U.S. that year. That means restrictions on the purchase of rifles would do little or nothing for the homicide rate. Leaders of the gun control movement know this. Their calls for more restrictive gun laws are part of a larger strategy to outlaw gun ownership. Gun ownership is not our problem. Our problem is a widespread decline in moral values that has nothing to do with guns. That decline includes disrespect for those in authority, disrespect for oneself, little accountability for anti-social behavior and a scuttling of religious teachings that reinforced moral values. Let’s examine elements of this decline. If any of our great-grandparents or even grandparents who passed away before 1960 were to return, they would not believe the kind of personal behavior all too common today. They wouldn’t believe that youngsters could get away with cursing and assaulting teachers (http://tinyurl.com/ya5zhyu6). They wouldn’t believe that some school districts, such as Philadelphia’s, employ more than 400 school police officers. During my primary and secondary schooling, from 1942 to 1954, the only time one saw a policeman in school was during an assembly period where we had to listen to a boring lecture on safety. Our ancestors also wouldn’t believe that we’re now debating whether teachers should be armed. There are companies that counsel senior citizens on how to shelter their assets from nursing home care costs. For example, a surviving spouse may own a completely paid-for home that’s worth $500,000. The costs of nursing home care might run $50,000 a year. By selling her house, she could pay the nursing home costs, but her children wouldn’t inherit the house. There are firms that come in to shelter her assets so that she can bequeath her home to her heirs and leave taxpayers to foot the nursing home bill. In my book, that’s immoral, but it is so common that most of us give it no thought. There is one moral failing that is devastating to the future of our nation. 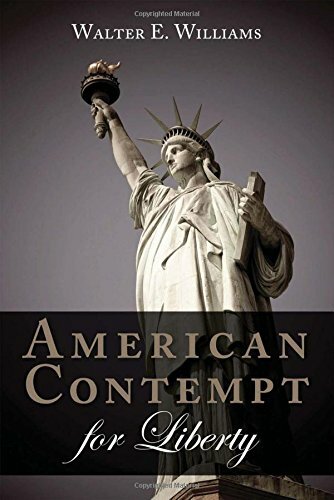 That failing, which has wide acceptance by the American people, is the idea that Congress has the authority to forcibly use one American to serve the purposes of another American. That is nothing less than legalized theft and accounts for roughly three-quarters of federal spending. For the Christians among us, we should consider that when God gave Moses the commandment “Thou shalt not steal,” he probably didn’t mean thou shalt not steal unless you get a majority vote in the U.S. Congress.